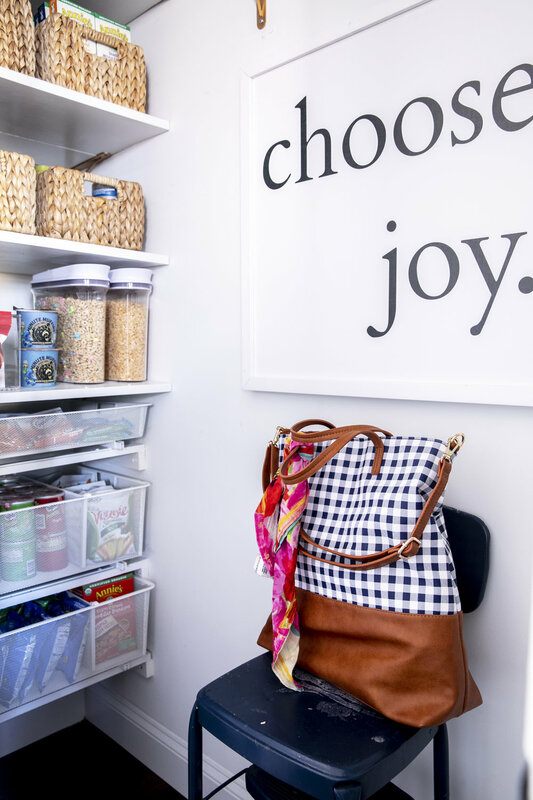 I am so excited to team up with one of my favorite stores of all time, The Container Store, to show you some new organizational items and strategies we are implementing in our kitchen and pantry. Nothing makes me happier than “pretty” and “practical” organization and I am so happy with how everything is coming together. This post comes at a perfect time since The Container Store is currently hosting a HUGE Kitchen & Pantry Essentials SALE. That means nearly all items from The Container Store mentioned in this post are 25% off right now. This is truly THE TIME to get busy Spring cleaning and organizing and to stock up on all kinds of kitchen/pantry organizing tools! We lost a good amount of pantry space due to moving some walls around in our kitchen renovation last year. This new little pantry space is cute, but it has an odd shape and configuration, that makes good storage a bit difficult. 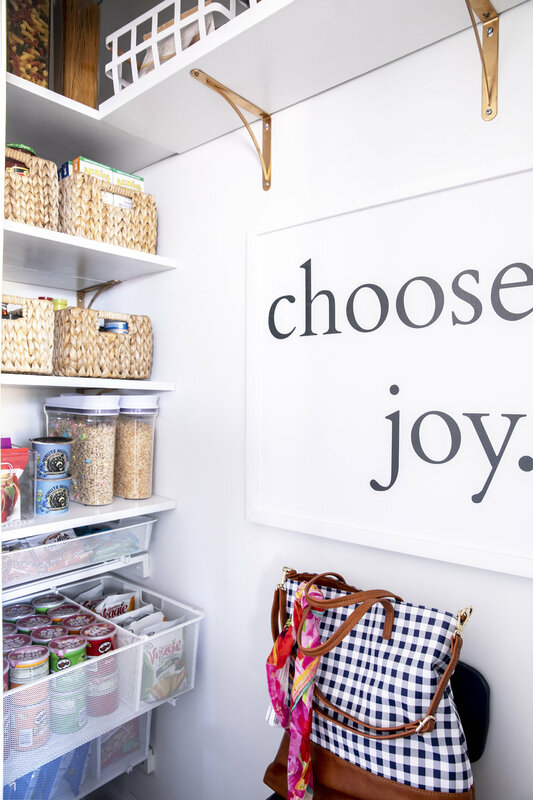 Thanks to adding these Elfa Mesh Drawers, Baskets, and Clear Pantry Bins , all from The Container Store, our little pantry has been transformed! I utilized these woven baskets to store cans, bottles and jars, as well as the Annie’s Macaroni boxes we buy in bulk! These OXO cereal containers store an entire box of cereal and make pouring into a bowl super easy. I love that they keep cereal fresh, and also help me tell when we need to replenish! 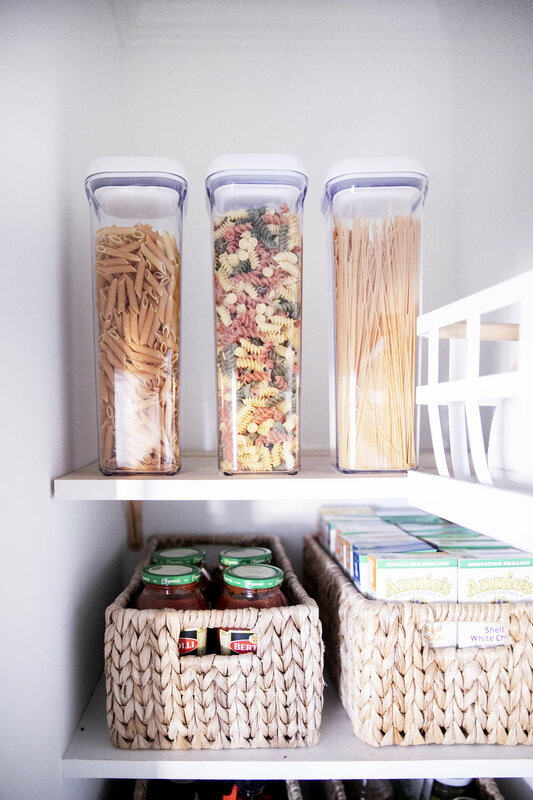 These tall Oxo Square POP canisters are perfect for pasta and spaghetti! These Elfa Mesh Drawers are truly the greatest solution to snack organization for little people. I love that they store a ton of chips, bars, etc.and are easily accessible to the kiddos. These draws hold a ton of snacks and slide in and out with ease. I also just added these Elfa Drawer dividers which I love! 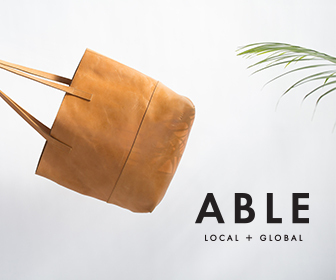 They slide to adjust whatever space configuration you want to create in the drawer. 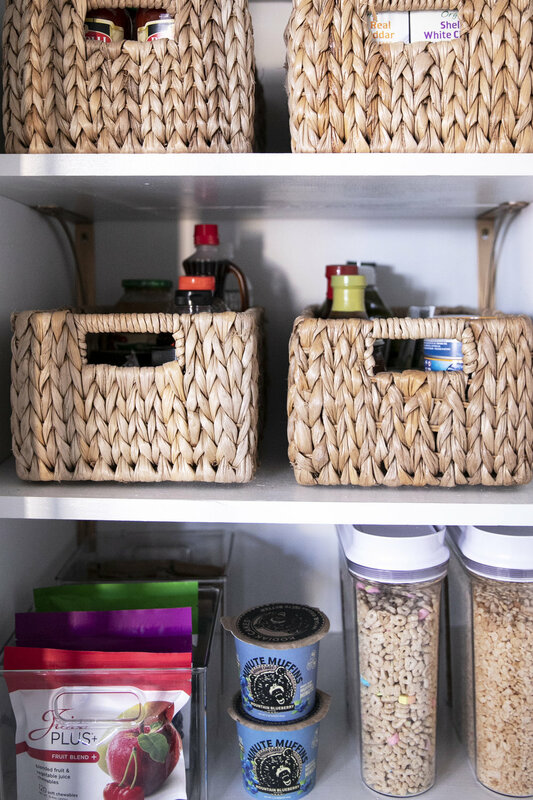 These clear InterDesign pantry bins are another great way to keep snacks contained, organized and accessible. 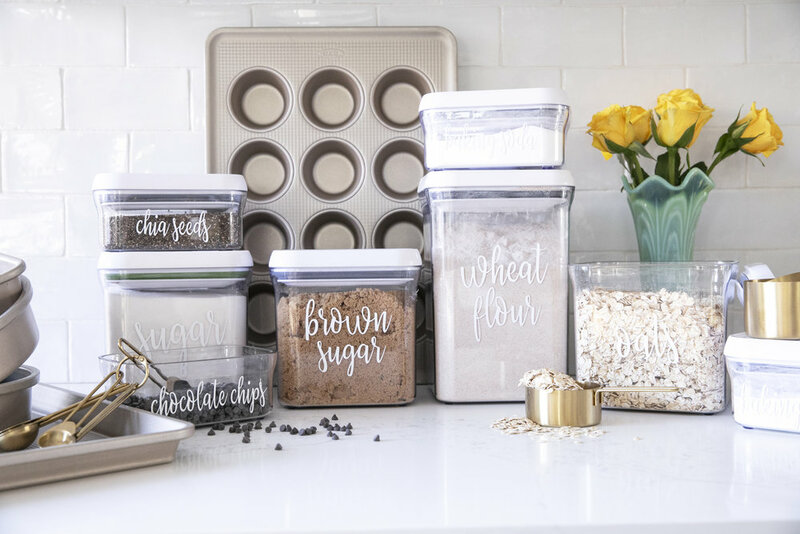 I love that these bins come in lots of sizes, and that they look great with labels added, too! I also love how pretty and sturdy these metal baskets are! 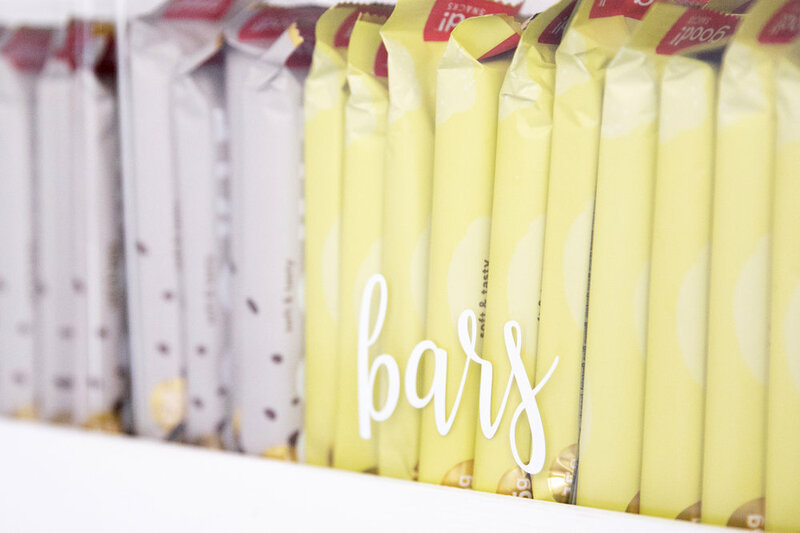 They are great for both the pantry or counter top organization. I love that you can place produce directly inside these plastic bins, since they are easy to wash and wipe down. These bins are also perfect for storing yogurts, juice boxes, etc. 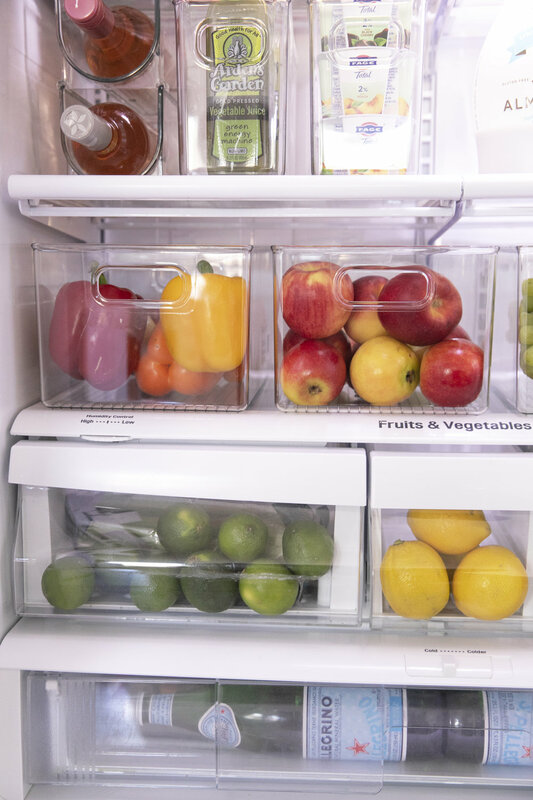 These InterDesign wine holders also help maximize space in our compact refrigerator. They are only $5.99 each during the sale! I also added an InterDesign Egg Holder, which is so much prettier than keeping a paper egg carton in your fridge! To add some much-needed organization in my cabinets, I added Lync Chrome Pull-Out Cabinet Drawers under several of our lower cabinets. These are helping keep pans, as well as our toaster and blender, in place and easy to access! Last but not least, I had so much fun organizing all of our baking supplies in OXO Pop Canisters. This 10-piece set that is a part of the 25% off sale is a great place to start. My friend, Rachel, made these labels and I just adore how they turned out! The great thing about OXO Pop Canisters is that they are easily stackable, allowing you to fit a lot into any size space. Be sure to head over to my Instagram highlights in my profile for a little “live” tour of these spaces! And make sure you stock up on all your kitchen and pantry organizational products before The Container Store sale ends on April 7th. P.S. If you are looking someone to help you figure out how to best organize your spaces, I highly recommend my good friend, Fabienne Boy, who helped me tremendously plan out my kitchen organization plan! You can contact her at 678.520.9490.